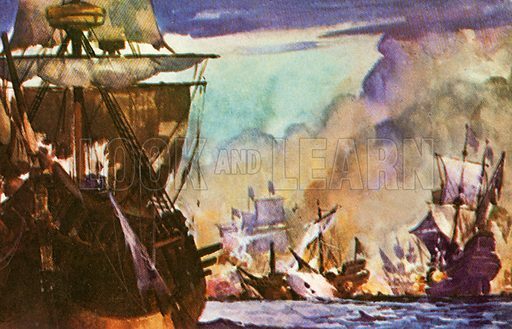 An English Poet Tennyson Laureate wrote the poem The Revenge about an Elizabethan sea-fight. It describes Greenville's single-handed fight against fifty-three Spanish ships. Available worldwide for immediate download up to 4,992 x 3,205 pixels.